Getting your loan application approved by a bank is not easy. After the great financial crisis of 2008, banks have tightened their credit norms and instituted a practice of scrutinising each request for funds very carefully. Consequently, small businesses find it increasingly difficult to obtain a bank loan or a line of credit. This fact is borne out by the results obtained in a recent survey conducted by the National Federation of Independent Business (NFIB). In a report titled Banks Get Tougher on Business Loans in USA Today, Paul Davidson reports that the NFIB’s survey has found that small business borrowers are getting a “chillier reception” when applying for bank loans. The NFIB survey observed a decline in the approval rate for small business loan applications in 2016. In the first six months of this year, 4.2% of small businesses were unable to meet their borrowing requirement, up from 3.1% in the first six months of 2015. What can a business do to ensure that its application for funds is approved by the bank? Well-informed business owners are aware that these traditional financial institutions are the lowest cost providers of funds and that substantial savings on interest expenditure can be made if a loan is obtained from this source. Before you approach a bank, make sure that you have all your paperwork organized. List down your personal assets and debts. Although you are applying for a business loan, the bank will want to see a statement detailing what you own. They will also take your personal credit score into consideration. Remember to keep your past business tax returns and your company’s financial statements handy. You should familiarize yourself with the information in these documents as it is likely that the bank officer will ask several questions based on the data they contain. What will you use the bank loan for and how will you pay it back? It is a good idea to present information from the banker’s point of view. They will want to get an in-depth understanding of how you plan to utilize the funds that you are requesting. Banks are more likely to approve a loan for purchasing an asset or financing an activity that will generate revenue. Acquisition of new machinery or the money required to establish your business in an untapped market falls into this category. In normal circumstances, banks will be reluctant to finance non-productive expenditure. The bank would also like to see a detailed cash flow projection that explains how you will generate the resources to pay back the loan. The U.S. Small Business Administration’s 6 Step Guide – How to Get a Business Loan explains that borrowers need to be ready to provide “reasonable to strong” collateral in the form of personal as well as business assets. 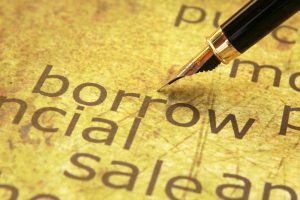 Obtaining a bank loan without providing collateral or a personal guarantee can be difficult. Business owners should carefully consider the implications of this requirement. If your company cannot pay back the loan to the bank, your home or even the cash in your personal bank account may be at stake. The best approach to making a successful loan application is to spend adequate time and effort in its preparation. You should anticipate the questions that may be asked and be ready with answers and the supporting documentation that will convince the bank of your ability to honor your financial commitments.